If you have a compact bathroom, the chances are that you won’t be able to squeeze a 12-inch rough-in toilet in your house. Those toilets are generally a good option for bigger bathrooms – but if your bathroom is the size of a closet, you won’t be able to install such a toilet and gain bathroom space. 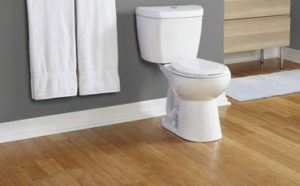 Still, did you know that by choosing a 10-inch rough-in toilet, you can save a decent amount of floor space? Two inches might not seem like much now – but those with very small bathrooms will understand the struggle. Still, they are not easy to find. So, if you are looking for the perfect match for your bathroom, then you might benefit from reading these 10 inch rough in toilet reviews. We’ve chosen from the most popular models so that you can be completely satisfied with the result. Dimensions : 41.3 x 35.4 x 23.6"
Dimensions : 31.2 x 14.2 x 27.5"
Dimensions : 29 x 15 x 17.2"
Dimensions : 27.2 x 17.6 x 30.5"
Dimensions : 29.8 x 17.8 x 28.1"
Dimensions : 26.2 x 17 x 30.2"
Kohler has always made a name for itself, generally because it brings high-quality, luxury-level products for clients at a price that almost anyone can afford. Plus, considering its features, this is also a toilet that almost anyone will appreciate. First of all, the elongated bowl of this particular model will give you enough thigh space – while still remaining compact in size. Plus, considering that it is 17 ½ inches tall, it’s comfortable for almost every height. If you are an average to a tall person, or even if you experience some restrictions in your movements, then sitting on this toilet will be very comfortable for you. This toilet also features a strong flush, which means that no waste should be able to escape it. 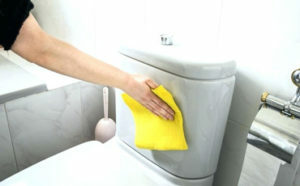 The flush will clean everything in its way. Thus, you won’t have to go for a second flush to get rid of the rest of the waste. The rough-edge shape of the water tank might not be to the taste of some customers – but others claim it suits modern bathrooms very well. One explanation is that some customers are just not used with this water tank shape. 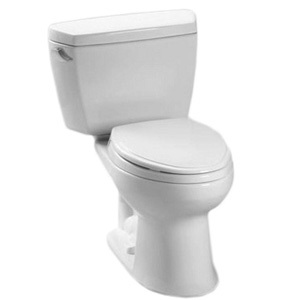 This 10-inch rough-in toilet from Toto is another eco-friendly option that allows you to choose from a 0.9-gallon flush and a 1.6-gallon one. 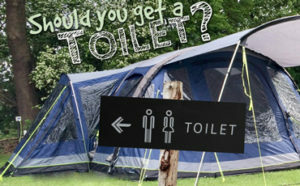 This way, if all you have is the liquid waste, then you won’t have to go for a full flush each time you use the toilet. It might not sound like much, but this will help you save a lot on the water bill. Having an elegant cotton white color, this toilet will most likely fit in with every bathroom design. This will make your bathroom look brighter, fresher, and a lot more spacious. Having an elongated bowl, this is generally aimed at those who want a bit more comfort when they sit. 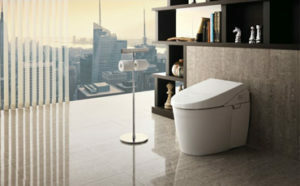 Still, the design was made to be more compact than the average elongated toilet, making it perfect for smaller bathrooms. Toto strikes again by creating another high-quality product for those shopping on a mid-range budget. Featuring a 17 ¼ inch height, it’s very comfortable for those of average to tall height, but it’s also easily used by those who have movement difficulties (for example, elders or people with disabilities). 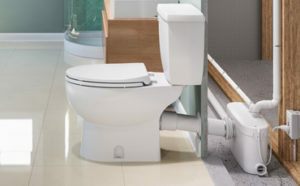 Thanks to its G-Max flushing technology, this toilet makes the best out of every flush. While only using 1.6 gallons of water per flush, it has enough power to flush away all the solid waste in one go. This will save you on the water bill since you won’t have to use the second flush to properly clean the bowl. It may not have any extra fancy features – but this just makes the toilet easier to maintain. While it lacks an anti-stick coating, the flush is powerful enough to clean any solid waste that attaches itself to the bowl. If you are looking for a high-quality 10-inch rough-in toilet, the Kohler strikes again with a luxury-level, yet a budget-friendly option. Made from durable vitreous china, this toilet is bound to last over the years – and most likely only requires a change if you want to redesign your bathroom. The Cimarron model uses AquaPiston technology that boosts the speed of water – therefore allowing the flush to clean the bowl more efficiently. 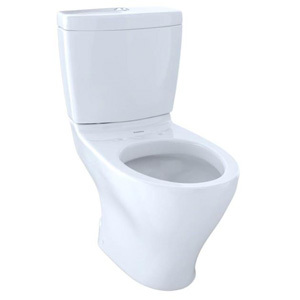 Plus, since it uses 1.28 gallons of water per flush (less than the average), this 10-inch rough in toilet is very friendly on your water bill. 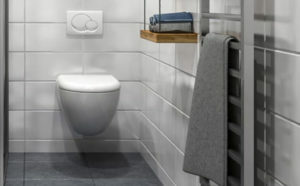 The installation is fairly straightforward, and it doesn’t take a lot of time to get it going – providing you have the minimum knowledge on how to install a toilet. It may not include a toilet seat in the price, but this way, you can buy a seat that is more comfortable for you. When you sit on a toilet, you literally want to feel like a champion – which is why this particular Champion is definitely a good option for you. 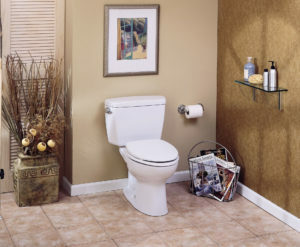 This one-piece toilet is not only easy to install but it’s just as easy to maintain and keep clean. Since it does not feature any awkward nooks and crannies, there won’t be any places for bacteria to gather. Featuring a 4-piston action, this allows more water to go into the bowl at the same time, offering a more powerful flush that can properly clean the toilet. Furthermore, since it only uses 1.6 gallons of water per flush, it also allows you to save on the water bill. 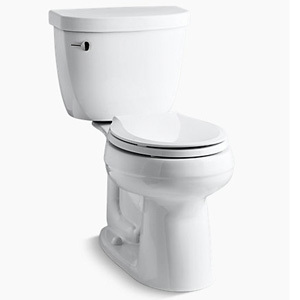 This toilet features a 10-year warranty that covers all repairs to the tank or the bowl within that time frame. Some might say it’s fairly difficult to install, but perhaps the most difficult part is to carry the entire toilet into the bathroom – since you can’t break it into separate parts. 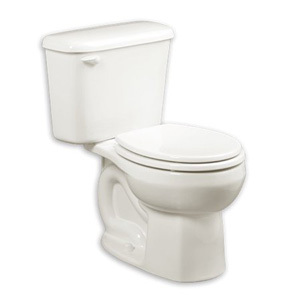 The Cadet 3 from American Standard is another veteran when it comes to toilets – particularly 10-inch rough-in model. This one is fairly similar to the previously presented model, only with a few differences: it has a slightly different color, and it comes as a two-piece model. Made from vitreous china, this toilet seat is certainly durable – and is guaranteed to last through at least 10 years of life – even more. 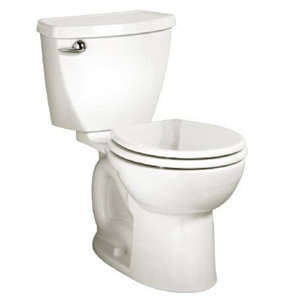 Furthermore, since it features an elongated shape, this toilet is also very comfortable to sit on. The Cadet 3 is also considered to be a water-saving toilet. It’s even better than most toilets of this kind. Technically speaking, a toilet that uses 1.6 gallons per flush is considered to be water-saving; this one uses 1.29 gallons per flush, making it even better than that. Plus, since it features an EverClean antimicrobial surface, it is also a great self-cleaning toilet. Mixing with its powerful flush, you won’t have problems with waste sticking to the surface of the bowl. This toilet from the Colony range is also an affordably-priced model that will fit the taste of every consumer on a budget. However, even if it’s relatively affordable, this toilet does not lack in features. It has the WaterSense label and uses 1.28 gallons per flush. Thus, this toilet uses even less than the average water-saving toilet. 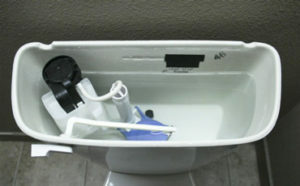 Plus, it features a powerful flush that will ensure the bowl remains clean. It may not have the fancy EverClean antimicrobial coating that some American Standard toilets have, but the PowerWash rim scrubs will make up for that. Thanks to this, the bowl will be scrubbed clean with every wash, preventing any solid waste from remaining on the surface. Made from vitreous china, this toilet bowl not only looks elegant, but it’s also durable. Even if you use it throughout the years, it is less likely to get any cracks. 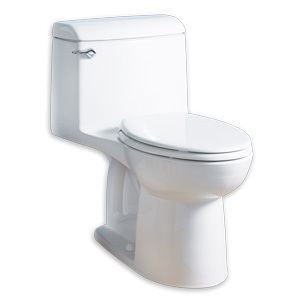 Engineered to be reliable and beautiful for years to come, this is a great 10-inch toilet to install in your bathroom. So, some of you might be asking: “why to bother with a 10-inch rough in toilet?” How would that benefit me? Well, there are some advantages to 12-inch rough-in toilets – but those with a smaller bathroom will find greater advantages with a 10-inch option. They are easy to install: If you have the minimum knowledge on how to install a 10-inch rough-in toilet, the process will go smoothly. 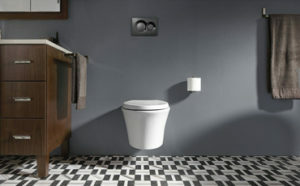 There are no major differences in design as compared to a traditional toilet, so it can be installed the same way. They save space: A 10-inch rough-in toilet will save you two inches from the wall to the toilet – without cutting from the comfort. 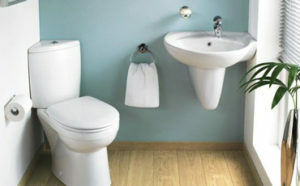 Basically, this kind of toilet will be able to sit much closer to the wall, therefore saving you space. They use the same technology: When it comes to the technology that they use, there’s basically no difference between a 10-inch toilet and a 12-inch one. They were made to be compact – but just as effective. 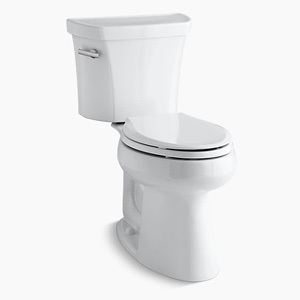 Generally, when you install a 10-inch rough-in toilet, you do it because you need to replace your old toilet or you want to add a more compact one into the bathroom. Measuring a 10-inch rough-in toilet is quite simple. Take some measuring tape and see how much you have from the wall to the main drain pipe. A 10-inch rough-in means that the toilet’s main drain is 10 inches away from your bathroom’s wall. In most cases, if you want to make the switch from a 12-inch drain to a 10-inch one, you may have to make some slight modifications on your pipes. Before purchasing a 10-inch rough in toilet, there are several things that you might want to consider first. Some of them might involve the aspect, others might go deeper – but they are all just as important. Do you want to add other items to your bathroom, such as a shower or a cabinet? Two inches saved from a toilet might make a difference between a fully-closed door – or one that only goes halfway. 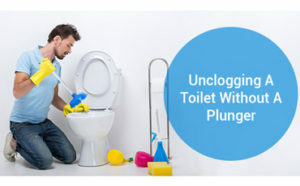 Do you want to replace an older 10-inch rough-in toilet, or do you want to make a change from the traditional 12-inch? If you want to replace an existing 10-inch toilet, it might be easier to install it – but if you make a change, you might have to drill some extra holes. Does it have any water saving features? 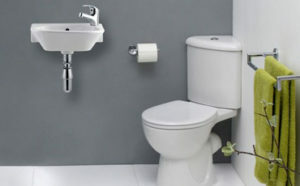 Most of the time, liquid waste does not require a full flush – so you may want to choose a dual-flush option. What colors can you find it in? Depending on the design of your bathroom, a white toilet may be just enough – but if your sink is a bone color, for example, then you might want to look for a similarly bone-colored toilet. Do you want a one-piece or a two-piece model? Some toilets have a detachable tank – others don’t. Decide which one is more up to your liking. Is the flush powerful enough? If it uses a small amount of water to be “environmentally friendly,” but still leaves waste behind, then it might not be such a sound investment after all. That second flush will not help with your water saving intentions whatsoever. Once you have thought about the things above, you might want to consider investing in some 10-inch rough-in toilets. When it comes to 10-inch rough-in toilets, you have several types to go for – but these are mostly general requirements for all toilets. For example, you may choose from an elongated or a round toilet. An elongated shape will be wider and a bit more comfortable than a round toilet seat. Still, the round seat will occupy even less space. 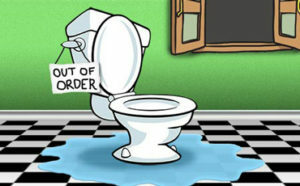 Water Consumption: Each time you flush, you literally throw 1.6 gallons of water down the drain. To save on the bill, you might want to look for dual flush options that will allow you to pick between a full flush and a half-flush. Bowl Height: If you’re short, the last thing you want is to prop yourself on a very high toilet. Toilet heights are generally placed into two categories, small or tall, so choose the one based on your respective height. You may want to look into how to pick the appropriate 10-inch rough-in toilet bowl height before making your purchase. 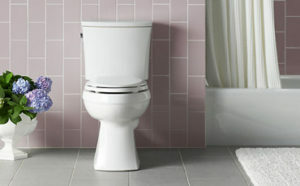 Color: You’ll want a toilet to look good in your bathroom, so choose one that will go well with the rest of the décor. You can never go wrong with white or black, but you may also choose from colors such as bone or other nuances. Finish: Some toilets come with a special finish that makes them “self-cleaning”. This means that they do not allow the waste to stick to the surface. This makes them easier to clean and maintain, which is why they are generally the preferred option. Budget: This one depends on the 10-inch rough-in toilet that you choose and the extra features associated with it. The fancier a 10-inch rough-in toilet is, the more expensive it will be. If you don’t want to blast too much money on a toilet, look for a simple model. Obviously, you should also read some customer reviews before purchasing a product. 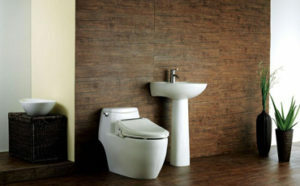 Manufacturers will advertise their products as being top-quality toilets – but most of the information and important features are usually found in 10-inch rough-in toilet customer reviews. When it comes to popularity, 10-inch rough-in toilets are not at the top of the market – simply because most people want comfortable, bigger toilets to fit in average-sized bathrooms. Still, when you can’t open your shower cabin door or can’t get some privacy because the bathroom door gets stuck when it hits the toilet, then those extra inches matter. These types of small toilets are certainly not easy to pick. You have to think about water consumption, toilet height, finish, type, and so on – but with a little bit of research, you can find the option that is just perfect for your bathroom. Hopefully, the best 10 inch rough in toilet reviews that we made for you will be of use. We’ve chosen the most popular models from brands that have already made a name for themselves in this world.